Kongdej Jaturanrasmee is a Thai screenwriter and film director. 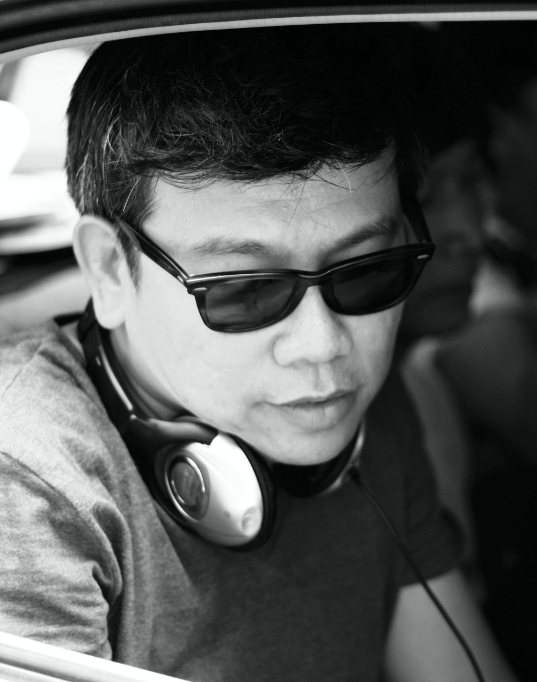 His screenplays include The Letter (Pa-oon Chantornsiri, 2004), The Protector (Prachya Pinkaew, 2005) and Me ... Myself (Pongpat Wachirabunjong, 2007). His own films include Sayew (2003), Midnight My Love (2005) and Handle Me with Care (2008). In 2011, he started to make independent films. P-047 (2011), premiered in the Orizzonti at Venice International Film Festival 2011, Tang Wong (2013) premiered at Berlin International Film Festival 2013 and won Best Picture and Best Director at the Thailand National Film Association Awards, along with numerous other domestic film awards. His latest films are So Be It (2014), which premiered internationally at Berlin International Film Festival 2015 in the Generation Kplus, and Snap (2015), in competition at Tokyo International Film Festival 2015. Soros Sukhum holds a Bachelor’s degree in film from Rangsit University Faculty of Communication Arts. With a decade of experience, he is now regarded as the most important independent producer working in Thailand today. He currently supports a generation of Thai filmmakers by producing their films, including Hi-so (Aditya Assarat, 2010), P-047 (Kongdej Jaturanrasmee, 2011), Tang Wong (Kongdej Jaturanrasmee, 2013), So Be It (Kongdej Jaturanrasmee, 2014), Snap (Kongdej Jaturanrasmee, 2015), Concrete Clouds (Lee Chatametikool, 2013), The Master (Nawapol Thamrongrattanarit, 2014), Motel Mist (Prabda Yoon, 2016), Someone from Nowhere (Prabda Yoon, 2017), and By the Time It Gets Dark (Anocha Suwichakornpong, 2016). His resume includes numerous prizewinners, including Rotterdam Tiger and Busan New Currents winners Wonderful Town (Aditya Assarat, 2007), Mundane History (Anocha Suwichakornpong, 2009), Eternity (Sivaroj Kongsakul, 2010), and 36 (Nawapol Thamrongrattanarit, 2012). He recently co-produced The Ravenous (Pen-ek Ratanaruang, 2018), a Thai/Singapore co-production, and also co-produced award-winning films Diamond Island (Davy Chou, 2016) from Cambodia, and Pop Aye (Kirsten Tan, 2017) from Singapore. His latest film production, Ten Years Thailand (Aditya Assarat, Wisit Sasanatieng, Chulayarnnon Siriphol, Apichatpong Weerasethakul 2018), had its world premiere at Cannes Film Festival 2018. It’s the last week in her hometown of Chantaburi for ‘Sue’, before she goes aboard to study on a scholarship; which she accepted without telling her father, and over which they argued so badly that they haven’t talked since. For Sue, who has never been aboard before, packing her luggage is a major thing. With the help of her friend ‘Belle’, Sue makes a list of things she has to do before leaving. They find that there are many things to be done. Here are some of the things on Sue’s checklist. Both friends compare their lives; one who will soon leave to continue on her journey, and the other who will stay and live in their small town just like she always has. Sue realizes that, no matter whether she gets through all the things on her checklist or not, there will be things which she has to let go. The small town, so familiar to her, will change; all except the memories Sue and Belle share. Now that her luggage is packed, what will Sue leave behind and what will she take with her?